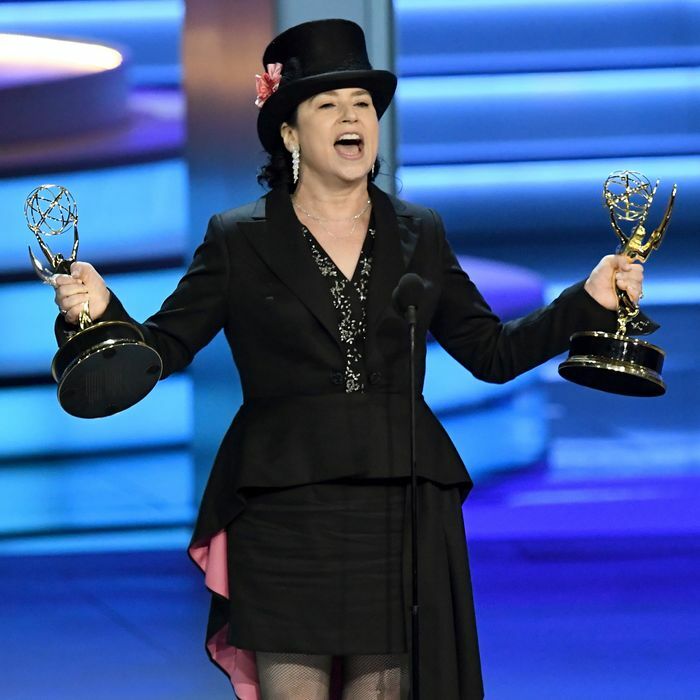 Welcome to the 2018 Emmys, the awards show celebrating television, a medium that has become so big they already gave out a bunch of awards last weekend and yet there were still hours of speeches and awards given out tonight! (Kudos for this year being a tight two and a half hours, though.) SNL’s Colin Jost and Michael Che hosted tonight’s ceremony with an assist from their fellow cast members, and the winners included everyone from a four-decades-in-the-making Henry Winkler, to a giddy John Mulaney. There was also an unexpected proposal so bright we had to wear shades. All of the winners are listed below, should you want to take a stroll down memory lane and remember who took home the gold. Congrats and yay to TV!